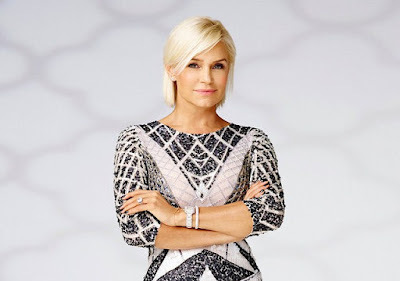 iRealHousewives | The 411 On American + International Real Housewives: Yolanda Hadid Reveals She’s ‘Off The Market’ And ‘So In Love’ With New Mystery Boyfriend! Yolanda Hadid has confirmed that she has found love again since her divorce from David Foster. "It's such an exciting time in my life, being finally healthy and ready to move on to the next chapter," the former Real Housewives of Beverly Hills star told Entertainment Tonight. "I am so in love right now." Although she didn't reveal too many details about her new boyfriend, Hadid announced that she's no longer single. "I'm very blessed to have found a beautiful love," she gushed, confirming that he's not a celebrity, but a businessman. "I'm excited and it's all good. I'm off the market." "He's a very private person," she added. "I think that after having such public fiasco in my last relationship, I think that I'm going to try to keep this private for as long as I can and enjoy it." Yolanda separated from David Foster in December 2015; they finalized their divorce in October 2017. Yolanda has been public about her ups and downs the last few years. The Real Housewives of Beverly Hills alum has never shied away from discussing her struggles with Lyme disease, and after exiting RHOBH in June 2016, she made a move to the East Coast.